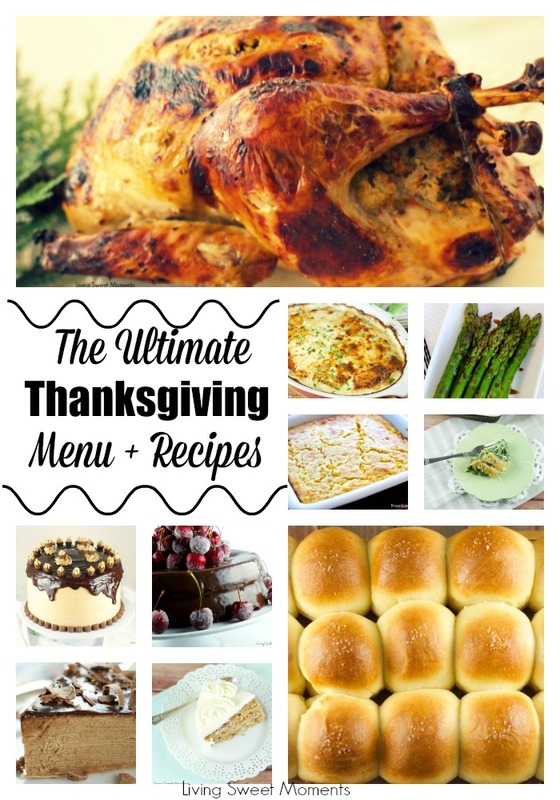 The Ultimate Thanksgiving Menu – Menu planning for your Thanksgiving Day just got a lot easier! 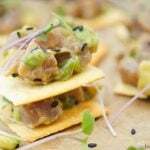 Here are a few Thanksgiving Menu Recipes from appetizers, entrees to desserts. Enjoy! Don’t stress out on Thanksgiving cooking. 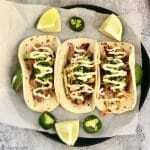 Here’s a surefire menu that will wow your family and friends. The most important thing is to plan ahead and start cooking a few days in advance. 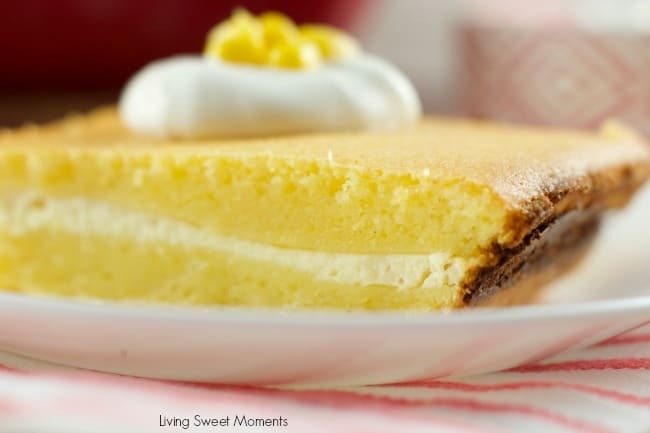 The weekend before Thanksgiving, bake the desserts and leave them on the fridge until serving time. Get them out of the way first so you can concentrate on the rest of the dishes. Remember that a large turkey can take 2-3 days to defrost in the fridge so buy it the week/weekend before so it can be ready when needed. -Count how many guests are coming. For 8-10 people 2-3 sides, 2 salads, a 12 lb. turkey and 2 desserts will suffice. -Don’t forget the appetizers. 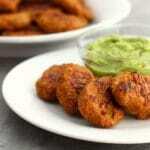 If people are coming before the food is ready, serve a few apps or hors d’ouvres to keep them satisfied and entertained. 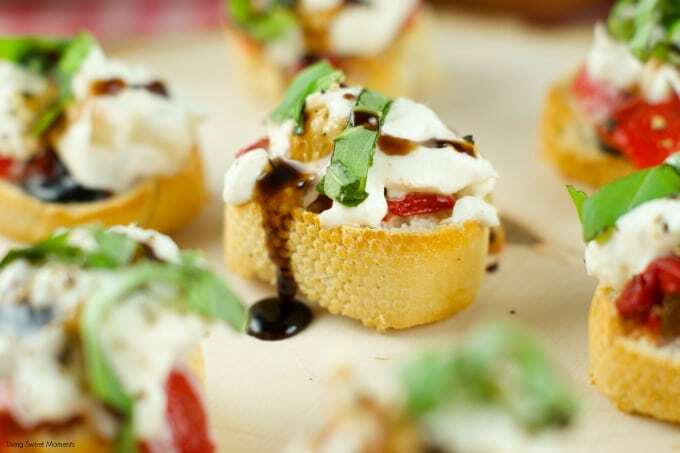 Roasted Red Pepper Burrata Crostinis served with a Balsamic Glaze – These delicious apps assemble in no time and are the perfect appetizer for a party. 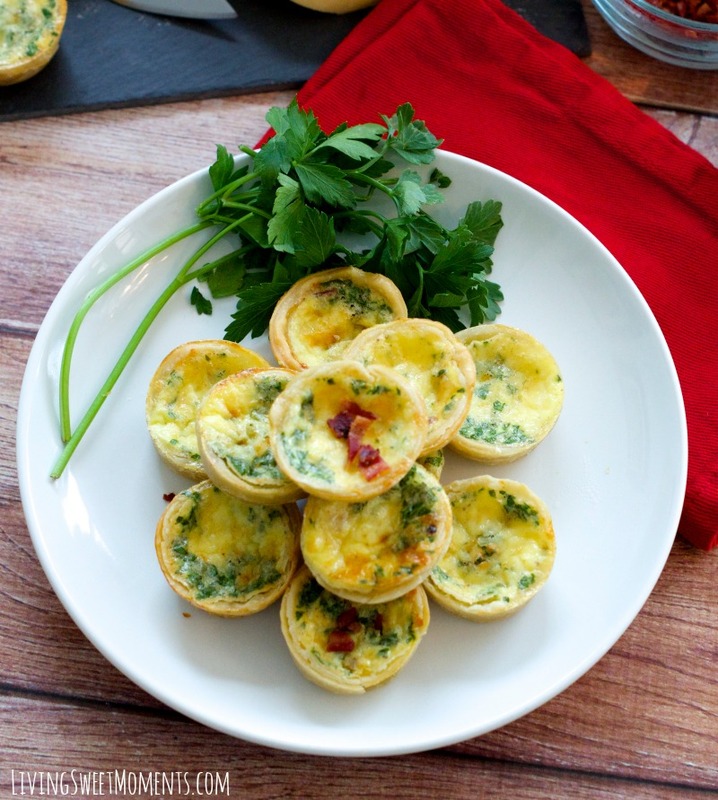 Mini Quiche Lorraine – these guys are super easy and super tasty. 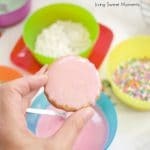 You can even make them in advance and just bake off at the last minute. 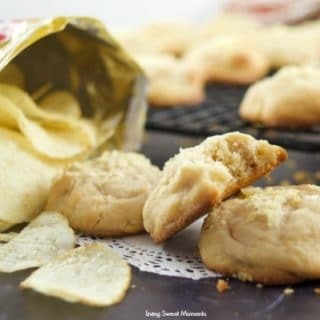 You can also freeze them and bake them off on Thanksgiving day. Oh my goodness! 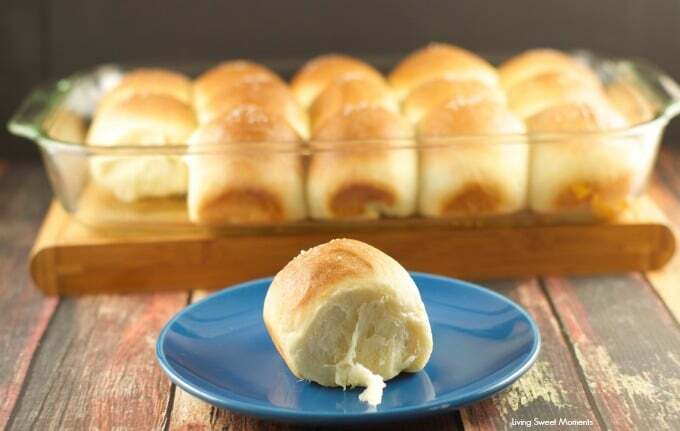 These homemade dinner rolls are soft, fluffy, stringy and delicious. 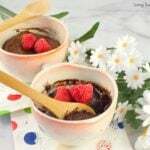 They are easy to make and I have a great method to cut the proofing time by 1/3. So in 70 minutes you can have them ready from start to finish. These rolls can also be made in advance and bake off when needed. Ricotta Filled Cornbread – this delicious twist on the regular cornbread is easy, delicious and can be made in advance. Just make sure you make extra because they taste delicious hot or cold! 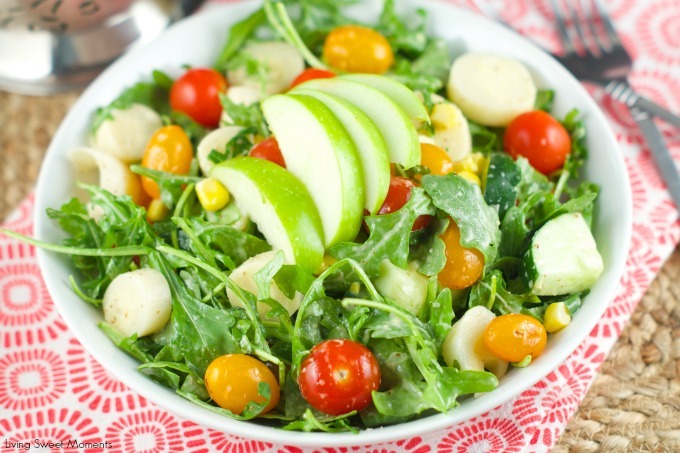 Apple Arugula Salad with Cherry tomatoes in a Mustard Vinaigrette – this salad is perfect for a large crowd. 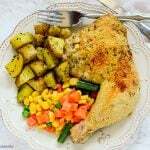 Make it advance and add the dressing when ready to serve. 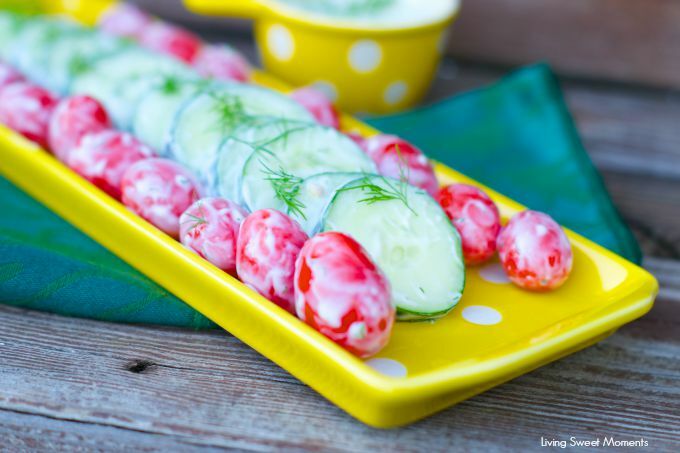 Dill Cucumber Salad – this creamy salad can be made in advance and is ready to serve when needed. I love the combination of dill and tangy sour cream. 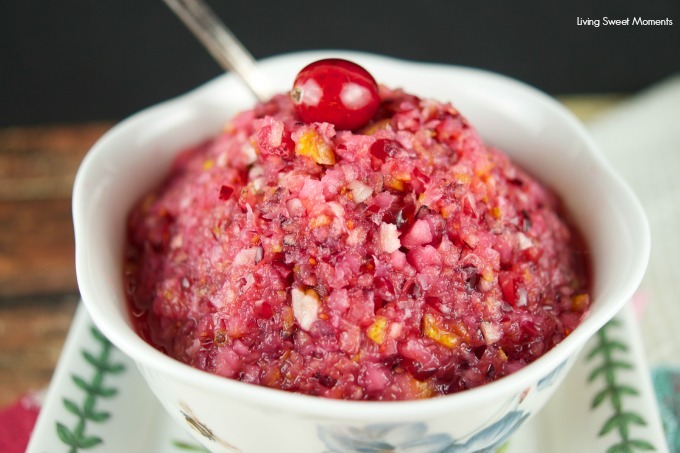 No-Cook Cranberry Chutney: This no-cook Cranberry Chutney has only 4 ingredients and is perfect to serve with turkey or as a spread with crackers. Perfect for your holiday meal. Yum!! 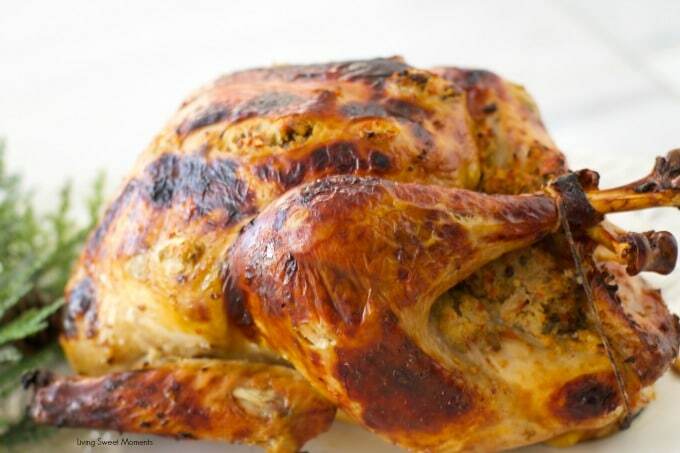 This delicious bird is juicy and stuffed all over with a delicious combination of apples, olives, capers and other ingredients. 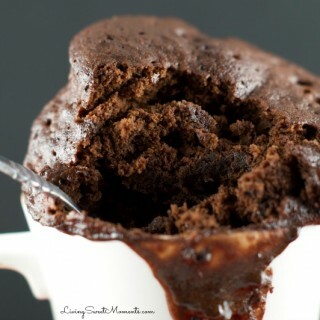 I inject it with wine a few days before baking to maximize the flavor and moisture. 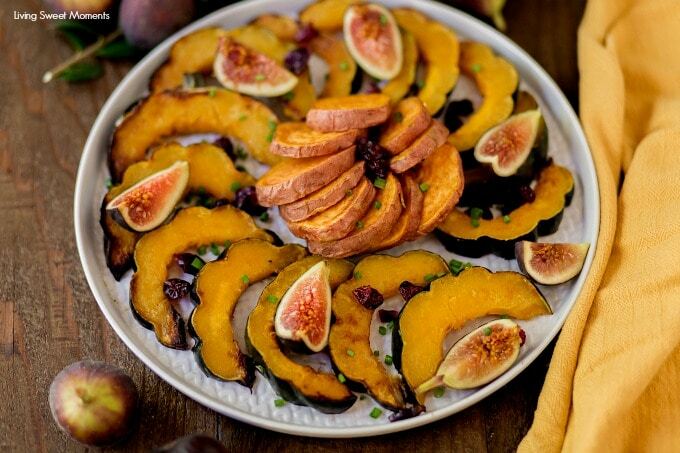 Roasted Sweet Potatoes and Squash – This delicate sugar recipe requires only 5 ingredients and is the perfect Holiday side dish for Thanksgiving or any meal. 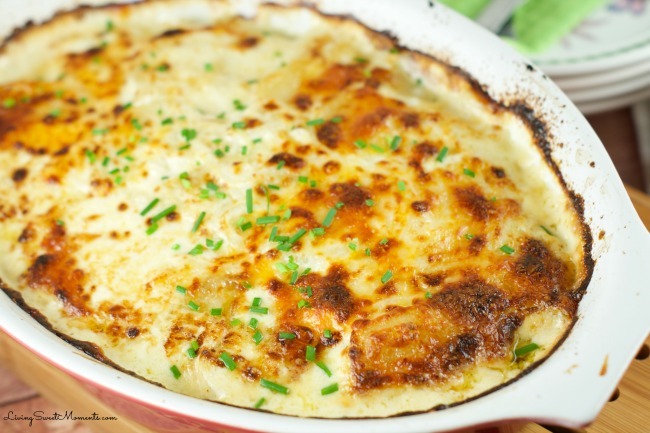 Potatoes Au Gratin With Jalapeño Sauce – these are the best potatoes ever! Not spicy at all but full of flavor. Add some creamy cheese on top and let it brown for a crunchy topping. 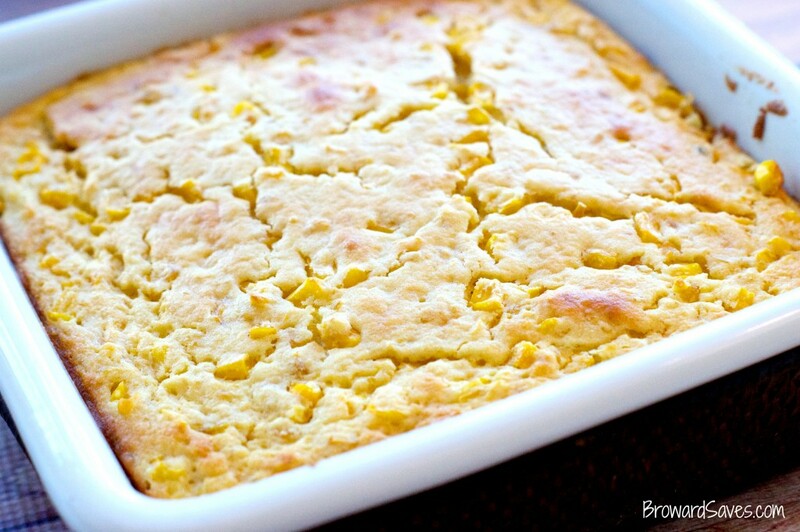 The Ultimate Corn Souffle is creamy, dreamy and delicious! 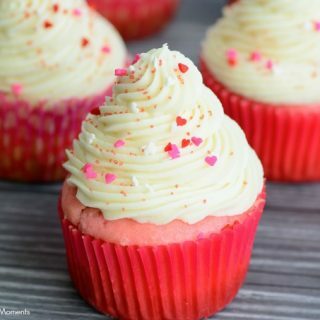 A little bit of sweetness brings out all the flavor. 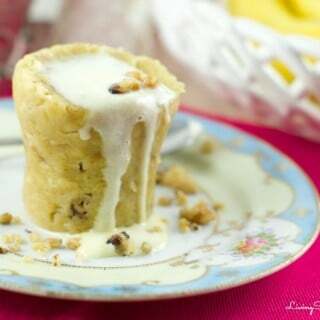 You can make it advance and just bake off at the last minute. 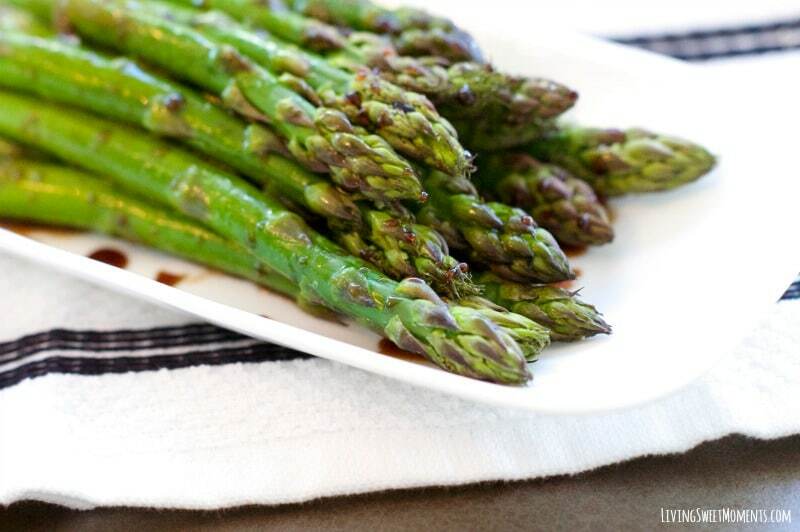 Lemon Balsamic Asparagus – this recipe is lean, easy to make and is ready in minutes. Delicious! 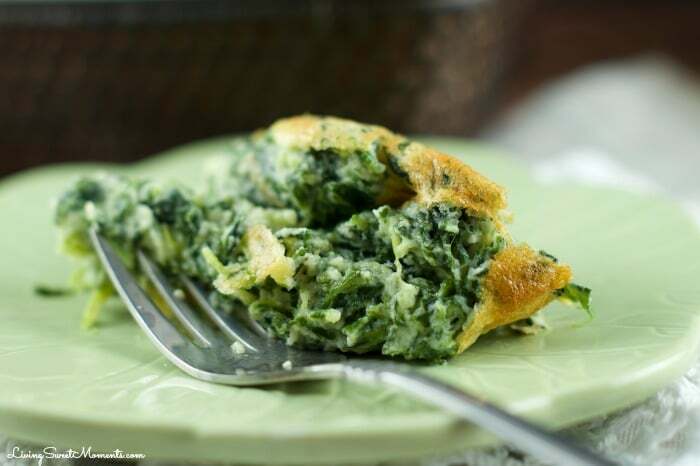 Spinach Souffle – this fluffy souffle is so delicious! Definitely nothing like you’ve tasted before. 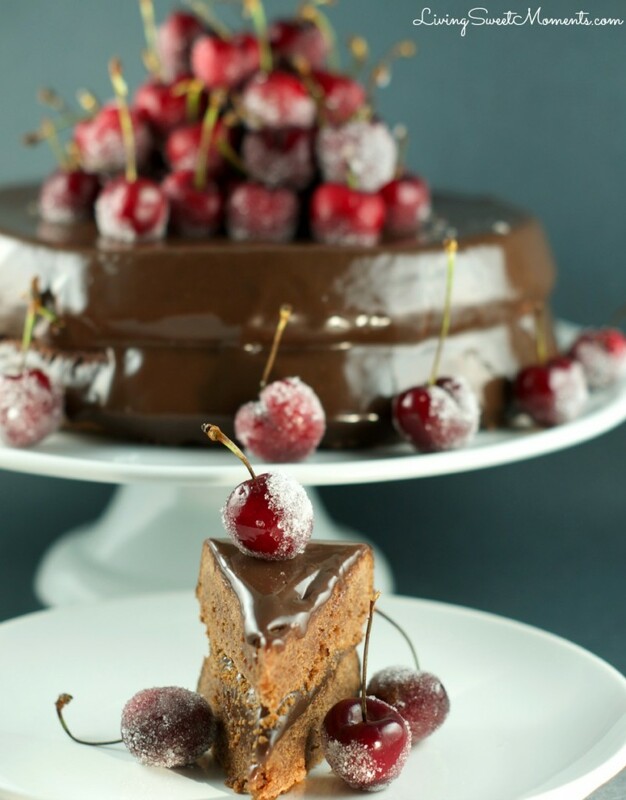 Chocolate Cake with Chocolate Frosting served with candied Cherries – this luscious and sensual dessert will give plain ol’ pumpkin pie a run for it’s money. 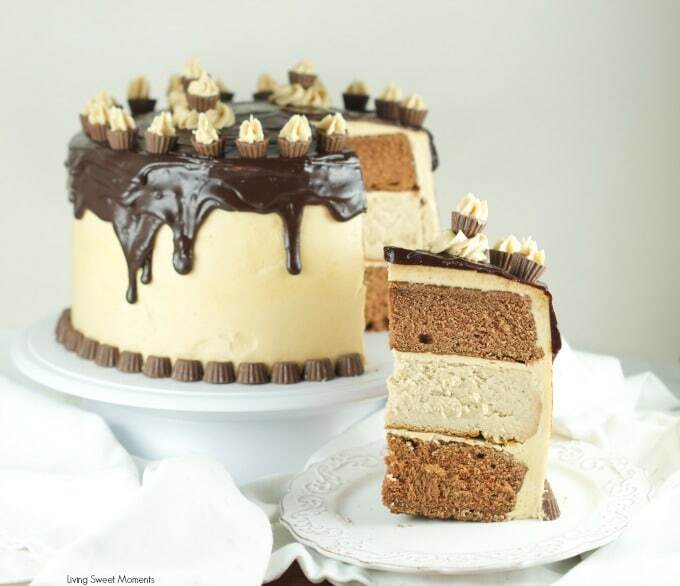 Uncle’s Johnny’s Chocolate Peanut Butter Cheesecake Cake – Imagine a giant Reese’s with delicious flavor and texture. This cake it’s spectacular! 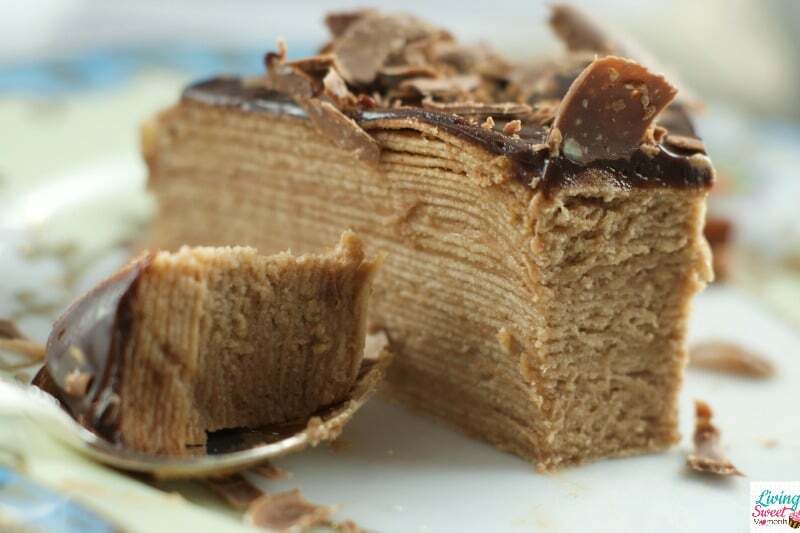 Toblerone Crepe Cake – 30 layers of crepes sandwiched together with a delicious Toblerone buttercream and topped off with chocolate ganache. 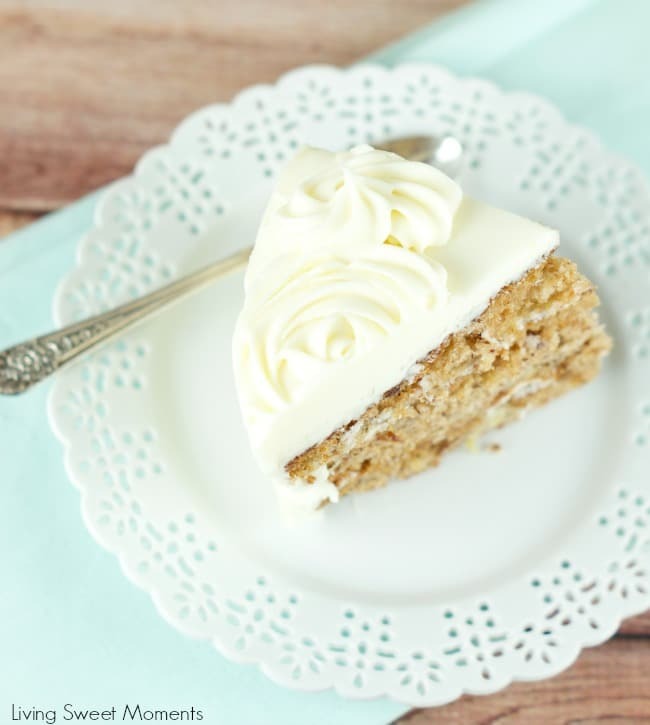 Hummingbird Cake – delicious and moist cake with cream cheese buttercream. You can’t have just one piece!